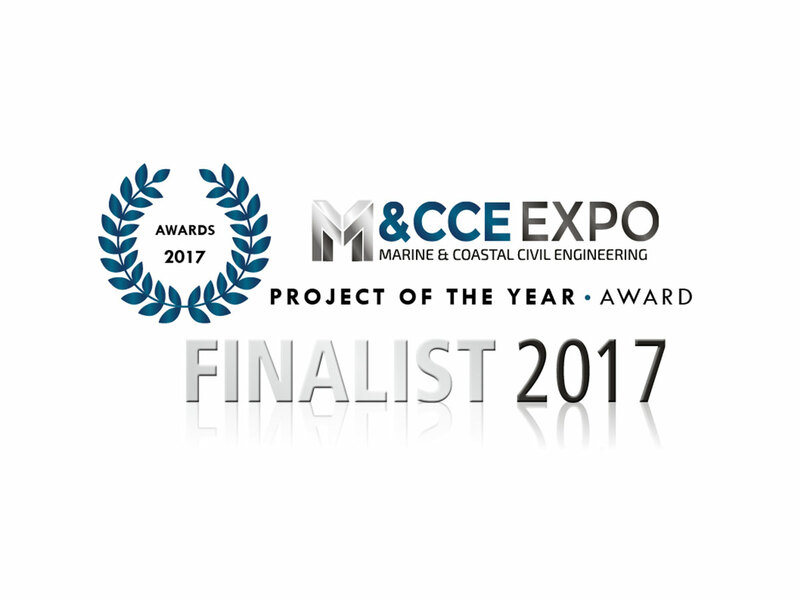 The awards finalists for the 2017 Marine and Coastal Civil Engineering Expo have been announced and Sheet Piling (UK) Ltd are proud to have been nominated for the prestigious ‘Project of the Year Award’. The winners of the show awards are selected by a judging panel comprising some of the biggest names in the civil engineering industry. Sheet Piling (UK) Ltd have been nominated for the £2.1m Heathrow Eastern Balancing Reservoir project. Sheet Piling (UK) Ltd were contracted by Morgan Sindall Ltd to design, supply and install nearly 1,800 tonnes of mainly Emirates Steel Sheet Piles, creating sheet pile walls running the length of the Eastern Balancing Reservoir (EBR). The EBR acts as a storage lagoon for Heathrow Airport’s fire services as well as holding all of the surface water drainage from the eastern side of the airport and it’s buildings. The Marine and Coastal Civil Engineering (MCCE) Awards celebrate the industry’s most outstanding examples of innovation through equipment, product or service, and the marine & coastal engineering project that stands out for its scale and impressive nature. The awards finalists will each give a short presentation to the judging panel at the MCCE Expo. This gives each nominee the opportunity to showcase their product, project or service to the judging panel and explain the reasons they feel they should be chosen as the winner. Sheet Piling (UK) Ltd will be exhibiting at the show on stand M5080. Those visiting the Sheet Piling (UK) Ltd stand are able to enter a free prize draw in order to win an Apple iPad courtesy of Sheet Piling (UK) Ltd. Details of how to enter will be available on the stand on the 27th and 28th September. The awards winners of the MCCE Expo Awards will be announced at the Marine and Coastal Civil Engineering Exhibition 2017 which is held at Excel London on the 27th and 28th September 2017.